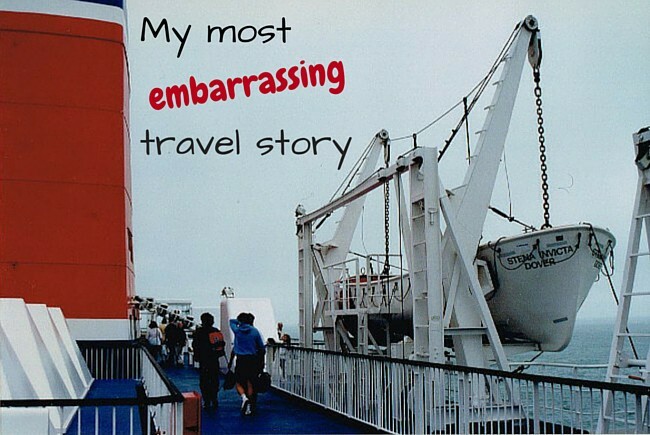 At first I wasn’t sure I wanted to share today’s story because, well, it is my most embarrassing travel story after all, and I still cringe a bit when I think about it. But then I realized perhaps it wasn’t so bad. I had only been travelling internationally for five years when this occurred. This kind of misadventure can happen to anybody, especially when you’re feeling too sure of yourself. I don’t know about you, but my worst travel mishaps always seem to happen during what I anticipate will be “easy” travel. Travel that looks so straightforward you can’t imagine what could possibly go wrong. Until it does. I guess when you’re too confident you tend not to prepare as much, or not to pay attention to what’s around you to the same level as when you’re in a very unfamiliar or foreign situation. Few people have heard this story. Unless you’re a very close friend, or signed up for my newsletter when it first went out in September 2013, this will be a new tale! In the summer of 1997, I went to Europe to complete a previously aborted “round-the-world-trip”. (That’s another story.) By then I had been travelling internationally for five years, including three trips to Europe, two trips to Latin America, and a total of almost six months in Asia. I felt pretty “seasoned”. I started my trip with a week in England to visit a friend. England feels pretty comfortable to a Canadian. Except for people driving on the “wrong” side of the road, nothing feels overly exotic. In fact I felt so confident that I forgot to get a proper map and got lost the first time I tried returning to my friend’s place on the bus! But that’s nothing compared to what was to come. One morning, I boarded the ferry in Dover to cross the Channel and get to Calais in France. The ferry was so massive, it felt like a floating hotel. I wandered in, and found an empty lounge area where I settled down and cracked open a book. Nobody came by, and I didn’t talk to anyone. I’m sure there were dozens of similar sitting areas all over the boat. When the announcement came that we were arriving in Calais, I got up and looked around for the exit. At this point I wasn’t sure which way I had walked in, and felt rather disoriented. Right across from me was a door marked “Exit” and a line-up of people, so I joined them. We went down a couple of levels on a narrow metal staircase, and all of a sudden, just like that, we were inside a bus. I was somewhat puzzled. This looked like a coach bus. A shuttle? Something wasn’t right. People were settling in all around me, speaking a language that sounded a little like German. Then the bus started moving. Slightly panicked, I asked someone where this bus was going, and he answered: “This is a tour bus. We’re going back to Amsterdam.” Not good. Not good. I rushed to the front and told the conductor that I wasn’t supposed to be on this bus, and could he please let me out. He looked a little startled but complied. And then I found myself in the middle of a large tarmac area, similar to an airport’s, completely disoriented. I was rescued by an employee driving a small golf cart who graciously gave me a ride to the terminal and was nice enough not to ask too many questions! If you enjoyed this story, you’ll probably also like reading about my scariest travel story! 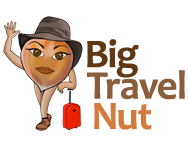 Are you ready to share an embarrassing travel story with the rest of us? Come on, I did it! My scariest travel story My weird Thai monk story (first time in Bangkok) Why I like solo travel and how you can too Having a bad travel day? Not too embarrassing! You were engrossed in a book, and followed the crowd. Right. Except my lack of Dutch would have made it clear pretty quickly that I was an impostor and I would have been dumped somewhere in Belgium! I think what made it feel so embarrassing to me at the time was the fact that I considered myself an experienced traveller and this seemed so… silly. My first trip to France, in 1983, was wonderful but in Camargues region (South of france at the Rhone’s delta) my friend and I got sorounded by local romanichel women. They managed to separate us so we couldn’t help each other. I instinctly clouched my handbag but not my friend. They managed to retrive her change purse. Clomsely we managed to retreave it and shoot away from there. When we saw two gendarme and told them wath had just happened, theyre onely respond was “Mais il ne fallait faire ça !” (You shouldn’t have done that!). Got to our car and spead away to our next destnation. Never whent to Camargues since but traveled often in France. I’ll have to remember that if I ever go to Camargues! Thanks for sharing Roxanne. I participated in a program in Spain called Diverbo where I was a volunteer helping Spaniards improve their English speaking skills for one week. On the first day at lunch I was seated at a table with one volunteer and two Spaniards. We started talking about Catalonia and I asked if Catalan was the same as Spanish. One of the girls said Oh no it is not. Don’t ever say that again. I felt embarrassed and that I was not good enough. The volunteer at the table said to me don’t worry. You didn’t know that. I learned that it’s best to think before you speak and perhaps I could have phrased my question differently.